"ResellerClub" Reviews (Apr 2019) - Why 4.8 Stars? From domain names and shared hosting to dedicated servers and site builders, ResellerClub has it all — including plans from top-rated sister companies HostGator and Bluehost. The flexible host offers perfectly tuned solutions for web designers and developers who enjoy the variety of pick-and-choose options across multiple product categories. “Known for a reseller program that has attracted more than 200,000 entrepreneurs, ResellerClub offers many more services for those seeking standard web hosting and domain services. In addition to serving more than 5 million domains and customers in more than 150 countries, the hosting provider has crafted among the most diverse portfolio of solutions that we've ever seen. At the shared hosting level, prospective customers can choose from various options for Linux- or Windows-based plans, plus a trio of plans from sister company HostGator. Both are owned by Endurance International Group, as well as Bluehost, which appears as a choice for VPS and dedicated servers. Buyer beware, however: the Bluehost and HostGator plans are resold at a slightly higher price than if purchased directly from either provider. The different brand options, however, become extraordinarily helpful for resellers looking to boost their own offerings. In addition to virtual servers powered by Bluehost, ResellerClub offers two varieties of VPS plans, based on either KVM or Virtuozzo virtualization. Dedicated servers of the Bluehost, managed, or bare metal variety can all be purchased at affordable rates and with whatever operating systems or control panels you prefer. “It's hard to knock a web hosting provider that includes unlimited storage, data transfers, and email accounts with its shared hosting plans. ResellerClub offers an above-average network uptime guarantee and the choice of Windows or Linux, along with enhanced performance and security features. However, affordable shared hosting is an extremely crowded market with very little room to shine. ResellerClub's prices are a hair higher than those of competitors, and those companies tend to include free SSL certificates, solid-state drives, and advertising credits. Even though ResellerClub boasts an incredibly wide range of shared hosting options, a large portion of the audience might end up with a company offering comparable services for a dollar or two per month cheaper. That's not to say there's anything wrong with ResellerClub's infrastructure or customer support. The company is particularly well-suited for those site owners looking to consolidate or host multiple websites, with the potential for expanding into a revenue-generating reseller business. 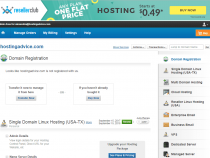 “Given the high price tag of dedicated servers, it can be hard to find a clear bargain. However, ResellerClub offers an impressive array of bare-metal and managed servers with a surprising number of features, all for rates lower than we expected. Whether you're looking for a high-powered environment for yourself or for your clients, be sure to give ResellerClub dedicated servers a serious look. ResellerClub's US servers are housed in an Austin, Texas, datacenter that is powered by two substations and connected to more than 17 fiber optic providers. The company operates similar infrastructure setups in the UK, Turkey, India, and Hong Kong. Blade servers are provisioned instantly and award users full root access and a server management interface. The base server, which costs less than $100 per month, comes with an Intel dual-core processor, 4GB of RAM, and 1TB of RAID-1 storage space. Customers will appreciate the included ClamAV anti-virus protections, in addition to operating system updates and security patches. Those site owners looking for more technical assistance and maintenance oversight can upgrade to managed servers. “As with all ResellerClub hosting plans, customers will enjoy a wide range of prices and options when it comes to picking a virtual private server to scale their website or online business. The company offers KVM or Virtuozzo virtualization, along with Bluehost's blend of KVM and OpenStack. ResellerClub's KVM servers come with the CentOS operating system, while Virtuozzo will cover CentOS and Ubuntu — meaning there's no Windows VPS option. Both types of Linux machines, however, come with full root access, a 30-day money-back guarantee, and installations of cPanel and WHM. The KVM VPS is built on cloud infrastructure that offers increased power, flexibility, control, and availability. The Virtuozzo abstraction, however, delivers one-of-a-kind virtualization efficiency that guarantees a set amount of computing resources regardless of what happens in other VMs. VPS plans sold under the Bluehost label, a sister company also owned by Endurance International Group, tap into the company's OpenStack and KVM infrastructure, bringing ultimate performance. Particularly useful for resellers, Bluehost VPS plans come with a free domain name registration and enable customers to seamlessly manage multiple servers and user profiles. “Seemingly every hosting provider is jumping on the crowded bandwagon to offer managed WordPress hosting. In many cases, the high-profile plans look suspiciously like a company's shared server features, with perhaps a few security upgrades, automatic updates, and higher prices. ResellerClub, however, is one of the refreshing companies that offers a hosting environment specifically tailored to the world's most popular content management system. At first glance, ResellerClub's price tag for managed WordPress hosting might seem a little steep — but the traffic allowances and upgraded add-ons sweeten the deal. The company's plans support up to 5 million visits per month and can run on six-core processors. WordPress is pre-installed and automatically updated, with an intuitive custom dashboard to manage your websites and monitor your CPU and RAM usage. Each WordPress instance will come pre-integrated with CodeGuard-powered automatic cloud backups, which users can monitor daily or restore in just a few clicks. Customers will also enjoy daily malware scans, vulnerability removal, and dedicated security support from the experts at SiteLock, known for 360-degree website security. “Providing multiple solutions to ensure customers and their reseller clients are using the most effective tools, ResellerClub offers three well-priced options for website builders. Across the board, all the platforms are streamlined ways to showcase creativity and quickly launch new websites without coding or design skills. The company's in-house site builder is the most lightweight of the bunch, with four plans costing less than $5 per month. Although many of the roughly 200 themes look somewhat dated or uninspiring, the ResellerClub site builder impresses with the level and ease of customizability. In addition to editing a site's CSS, experienced developers and site owners can even make changes to themes' source code or upload their own theme. ResellerClub also partners with Impress.ly to help customers build app-like mobile websites in a snap. The platform generates clean HTML5 code for phones, tablets, and desktops, including social media feeds, eCommerce functionality, and business tools to aid a new site's success. The highest-tire Impress.ly plan is optimized for a content delivery network and basic analytics, as well. Users only need a business name, Facebook page, or website address, and Impress.ly uses native intelligence to organize your existing content into a smart design and color scheme. For those looking for a more familiar interface or a recognizable brand to sell to customers, the Weebly drag-and-drop editor allows for unlimited pages, a customizable footer, and custom favicon. More than 40 million have used the Weebly site builder platform to concoct stunning, professional, and responsive websites for portfolios, businesses, and blogs. While there is nothing wrong with the ResellerClub builder, we're huge fans of the high-quality apps and eCommerce functionality Weebly adds to the site building experience. If none of those options are ideal for you, ResellerClub also provides thousands of downloadable website themes, plugins, and logos for several of the most-used web platforms: WordPress, Drupal, Joomla, Magento, Weebly, and OpenCart. A collaboration with HostGator enables ResellerClub customers and resellers to capitalize on the localized interfaces, support, and payment options available through HostGator's shared and dedicated hosting service options. ResellerClub customers also have access to dedicated and virtual private servers powered by Bluehost, which uses OpenStack infrastructure to give end users the ability to run an elastic and redundant private cloud. In addition the company's own website builder, ResellerClub offers customers an option to use Weebly or the Impress.ly mobile site builder so that even novice site owners can find comfort in multiple code-free site creation tools. As one of the largest registrars in the world, ResellerClub has built a set of white-labeled options for more than 200,000 entrepreneurs to resell hosting and domain services. ResellerClub helps those looking to start their own hosting business with a fully customizable SuperSite Storefront to help boost their brand's profile. In addition to an integrated shopping cart and coupon engine, the pre-made templates include SEO-friendly content tailored to the specific products the entrepreneur wants to sell. Resellers will also enjoy the company's user-friendly custom control panel that automates many hosting business practices. Users can add their own logos and branding, as well as manage customers, billing, and sales. Manage all web services from one administrative panel by purchasing G Suite accounts through ResellerClub. Your organization can collaborate through Google Cloud's productivity, email, chat, and collaboration applications for less than $5 per account per month. Small businesses can communicate professionally with affordable custom email addresses powered by Open-Xchange, Juniper, and Flock. Plans come with 5GB of storage and 99.99% uptime. 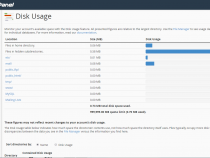 Enterprise-level email hosting boosts storage capacity to 30 GB and introduces shared calendars, address books, files, and other collaboration tools. An interesting social media integration allows people to communicate with private and professional contacts through a unified platform. SSL certificates powered by Comodo are an easy way to protect personal data and promote visitors' trust. ResellerClub offers the security feature for between roughly $1 and $11 per month, depending on the verification type and warranty desired. Website security company SiteLock will scan up to 2,500 pages for malware each day to detect vulnerabilities and protect customers from attacks. Automatic malware removal tools and enterprise-grade firewalls protect the most sensitive data. Starting at less than $1 per month, CodeGuard will automatically back up a maximum of five websites every five days to enable site owners to quickly recover and restore their data. Plans can be upgraded to include more websites, daily or on-demand backups, and unlimited restores. With so many products under one umbrella, the ResellerClub account management interface does a yeoman's job of making features and hosting components easy to find and manage. 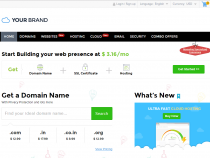 Whether you're looking for domains, email services, or a site builder, ResellerClub will direct you to the appropriate space to purchase the relevant services or connect you to cPanel, WHM, or other management tools. All in all, ResellerClub is priced right in line with other mainstays in the hosting industry, with particularly appealing deals available in the VPS, cloud, and dedicated server worlds. Linux shared hosting packages come in under the $5-per-month threshold, and we appreciate that customers can enjoy the Personal plan for 49 cents for the first month, while Business and Pro users will pay $1 for the first month. ResellerClub largely runs its business through an à la carte model, meaning that basic services are rationed out into separate orders. Customers will have to place different requests for hosting and a domain name, site builder, or security. We love the flexibility and custom solutions for which that allows, but the onboarding process was a little more convoluted and time-consuming as a result. Instructions are incredibly clear, there are just a few more steps to take compared to several other hosting providers. Depending on where you look on the company's website, ResellerClub offers either a three-nines or four-nines network uptime guarantee. While 99.9% is the perfectly respectable industry standard, the bump up to 99.99% reliability is an impressive and distinguishing feature. The company designed and built its infrastructure to prioritize stability, scalability, and security, with datacenters being equipped with Dell servers and Juniper switches, among other name-brand hardware. On the support front, ResellerClub offers the typical 24/7/365 assistance through email, phone, and live chat. We felt the technical support chat feature was darn near impossible to find (naturally, the sales chat is posted all over the top of the ResellerClub website), but we were pleased with the response time and helpfulness of our support agent. The "Request Support" link from the account interface took us to a half-finished support center page, but we were able to easily search the knowledgebase for information and raise a ticket. We found the support area linked in the header of the ResellerClub website to be much more helpful, with sections devoted to tickets, the knowledgebase, phone support, Twitter, server status, and — especially cool — an area to submit feedback or new ideas to the company. A one-stop-shop for all things hosting, domains, website builders, and emailing, ResellerClub offers an incredible portfolio of services. Although the company is one of the world's most popular platforms for resellers and entrepreneurs, site owners of all levels of experience will find hosting happiness with traditional shared, virtual, cloud, and dedicated server packages. Customers have an almost overwhelming number of tools available to grow their online presence and will likely enjoy the prospects of launching a reseller business to boost their income. Meanwhile, entrepreneurs looking to start a web hosting or domain reselling business will appreciate ResellerClub's turnkey websites, white-labeled control panels, and easy account and order management systems.